Which is the largest credit card network in the U.S? The largest credit card network in the United States is the Visa credit card network, operated by Visa Inc. Three other examples of major credit card networks are MasterCard, American Express and Discover. Picking a credit card linked to a big credit card network is a good idea if you want to be able to use it with many different merchants. 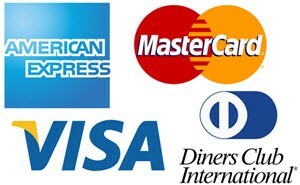 Visa and MasterCard are accepted by a much larger number of merchants than American Express and Discover. In 2014, the credit purchase volume for Visa within the United States was $1.2 trillion (Source: www.norskkreditt.no). For American Express, this figure was just $668 billions so there is a big gap between Visa and it’s closest rival in terms of purchases. MasterCard was pretty close to American Express, with $607 millions, and then we find Discover far down at $129 billions. By September 2014, there were 304 million Visa credit cards in circulation in the United States and an additional 545 million Visa credit cards in circulation outside the country. MasterCard had 191 million credit cards in circulation within the U.S. and 576 million credit cards outside the country. So, while MasterCard is #2 within the United States when it comes to cards in circulation, it actually has more credit cards in circulation outside the U.S. than Visa. American Express had just under 55 million credit cards in circulation within the U.S. in September 2014 and just above 57 million credit cards in circulation outside the U.S.